It looks like production on Warner Bros. 'Suicide Squad' is rolling along nicely as director David Ayer has released the first look at the squad in costume in this group photo on his twitter account. 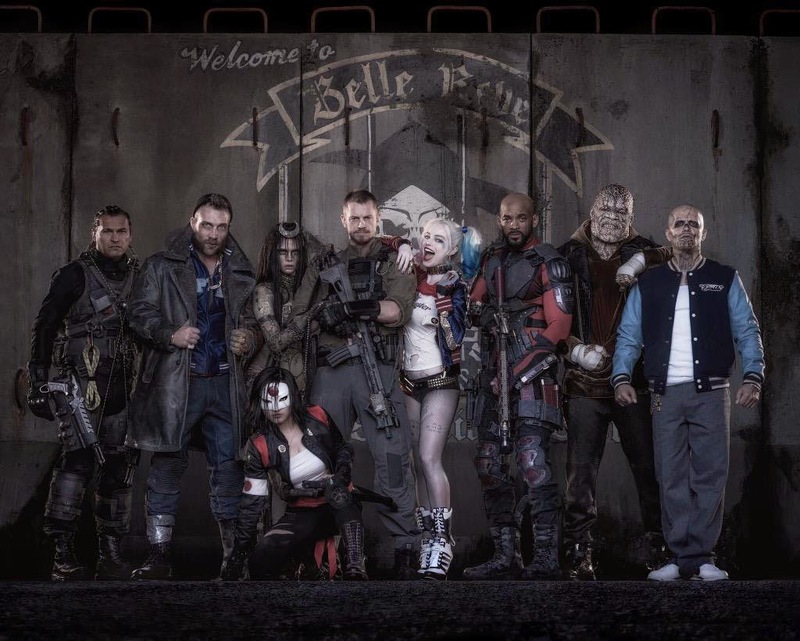 Among those pictured is Margot Robbie as Harley Quinn, Will Smith as Deadshot, Jai Courtney as Captain Boomerang, Joel Kinnaman as Rick Flag and Cara Delevingne as Enchantress. No sign of Jared Leto as the Joker but that one image posted by Ayer previously is still buzzing comment forums. Notably, Robbie looks great as Harley Quinn taking on the appearance of her current New 52 comic book version including roller skates. Photo also confirms Karen Fukuhara will be playing Katana. And the first live-action of Killer Croc has Adewale Akinnuoye Agbaje in heavy make-up eschewing CGI. The jury is still out on who Adam Beach is playing but to be frank if we didn't already know who Courtney and Kinnaman are we wouldn't know from the picture either. Task Force X assembles in 'Suicide Squad' for a scheduled release on August 5, 2016. Personally, I'm stoked for this movie because it just adds to DC's Cinematic Universe. I think everyone's overreacting to Jared Leto's Joker which, in my humble opinion, is a refreshing take on the Clown Prince of Crime. We'll see. I agree. This is the first attempt at this property and I think it's in good hands. The cast looks filthy and badass. They're not suppose to be pretty and generic.